The Yampa River is a river in Colorado that is considered the last major tributary in the Colorado River Basin that retains the characteristics of a large, free-flowing Western river. We are a year-around fly fishing guide service fishing all over the Yampa Valley. Specializing in floats and walk/wade trips on the Yampa, Colorado and N.Platte Rivers. Floating the river from Craig to the Dinosaur National Monument boundary (a total of approximately 50 miles) is recommended as the route passes through 3 canyons over the suggested 3-day journey. Rafters and anglers alike are suggested to check the water levels before venturing out onto the river. 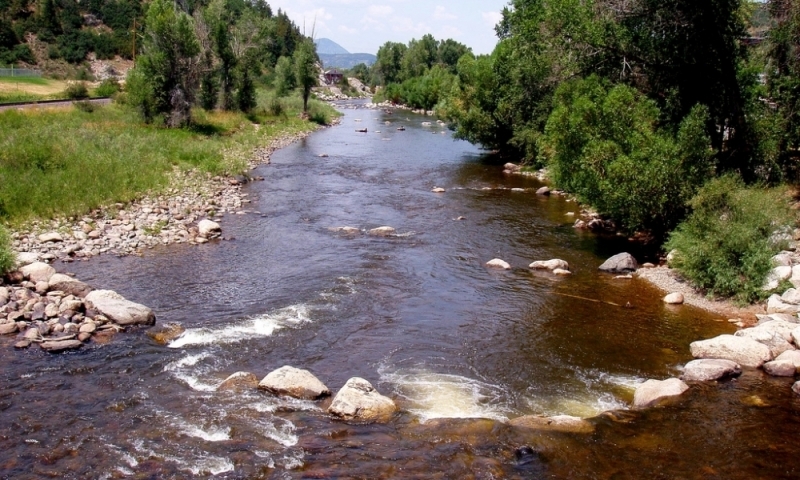 The Yampa River flows throughout the state of Colorado. As the river is about 250 miles, it flows through northwestern Colorado in the Flat Tops Wilderness and Routt National Forest, through the towns of Yampa and Steamboat Springs and then through the Williams Fork Mountains and Moffat County before entering the Green River near the Utah border. The Yampa River is viewable year-round. However, certain activities are dependent upon the season. The Yampa River is most popular for its abundance of commercial rafting opportunities. Numerous commercial rafting outfitters call the Yampa River home during the popular mountain summers. In addition, tubing the Yampa River both through outfitters and as an individual are also popular activities. Fishing is also a popular activity as the “Rocky Mountain Grand Slam” (abundance of brook, rainbow, cutthroat, brown and mountain whitefish) is present through the 15-mile stretch from Stillwater Reservoir to the town of Yampa. Hot Spots On The Yampa: When fly fishermen mention the Yampa, they typically are talking about the tailwater below Stagecoach, but the enire river fishes well. Bass and pike are found in the lower river. This meandering river is fairly averaged sized, but its trout can grow to good size. Time To Wet A Line: Yampa's trout are most gullible early in the year in February and March. They love midges and will hit larva and pupae patterns. It will be cold, but a few layers on a sunny day could mean the difference of waiting until runoff ends or getting into a sensational bite. Orange, pink and red San Juans and other small larva patterns are best. The river can turn murky with snow melt. Variety Of Species: The further you slide downriver beyond Steamboat Springs, chances increase for a shot at smallmouth bass and pike. They can be fun on plugs or crayfish patterns. Permits: Fishing permits are required through the Colorado Division of Wildlife. The Roaring Fork River flows from Aspen to the Colorado River. Information about Grand County's Fraser River.